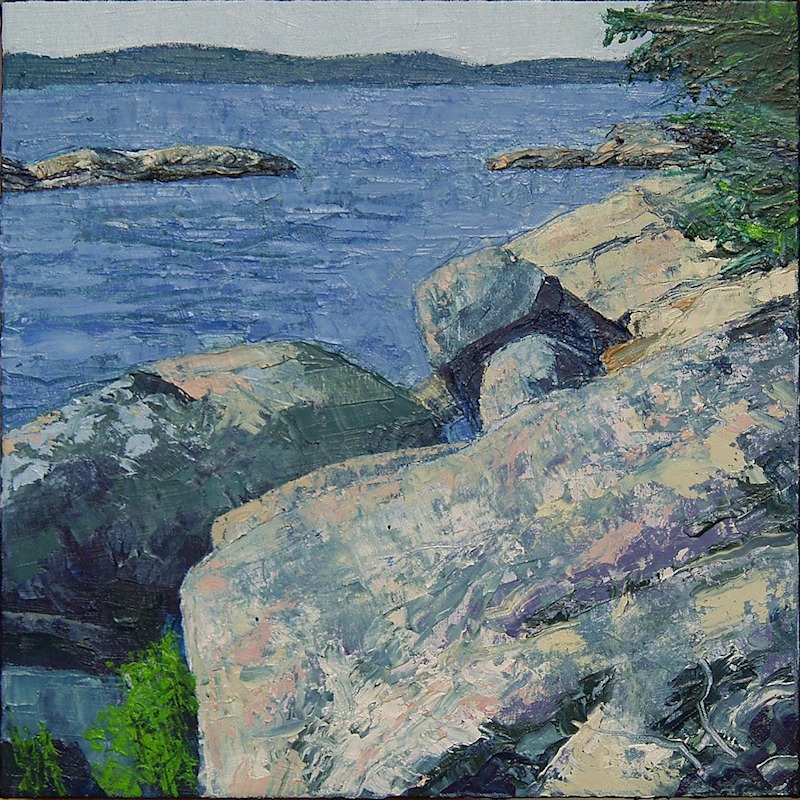 In the summer of 2007, I attended a Mass College of Art Alumni week up at the Haystack Mountain School of Crafts in Deer Isle, Maine. 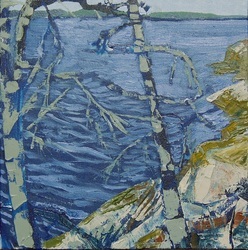 It was an inspiring week, filled with art projects, exchanging ideas with fellow artists and getting inspiration from all your senses. 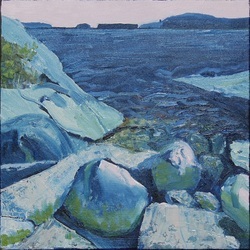 The ocean smell combined with the raw power of the Atlantic, the light, the harsh granite cliffs - all breathtaking! 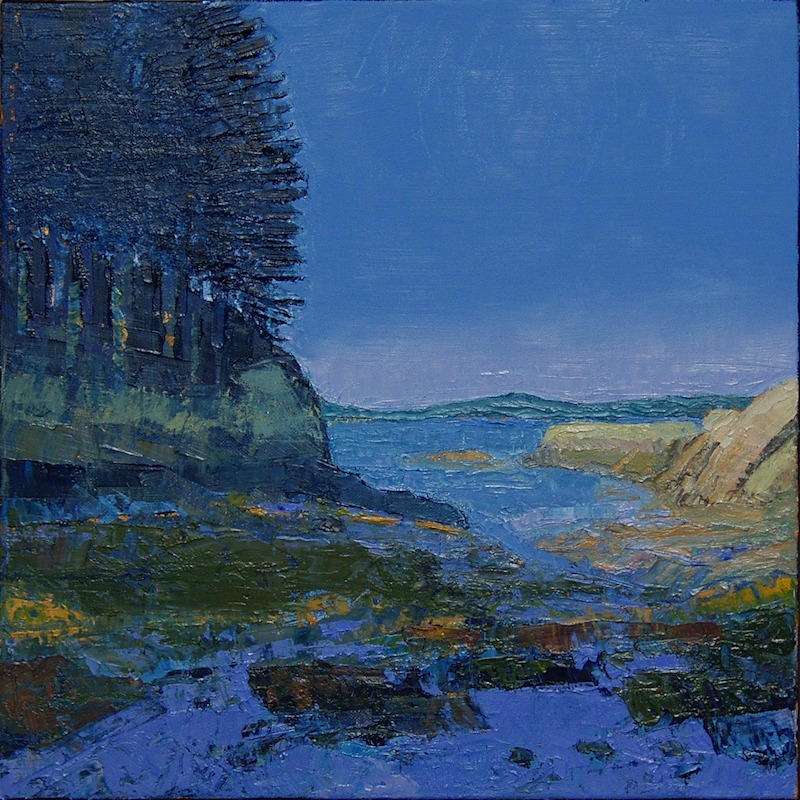 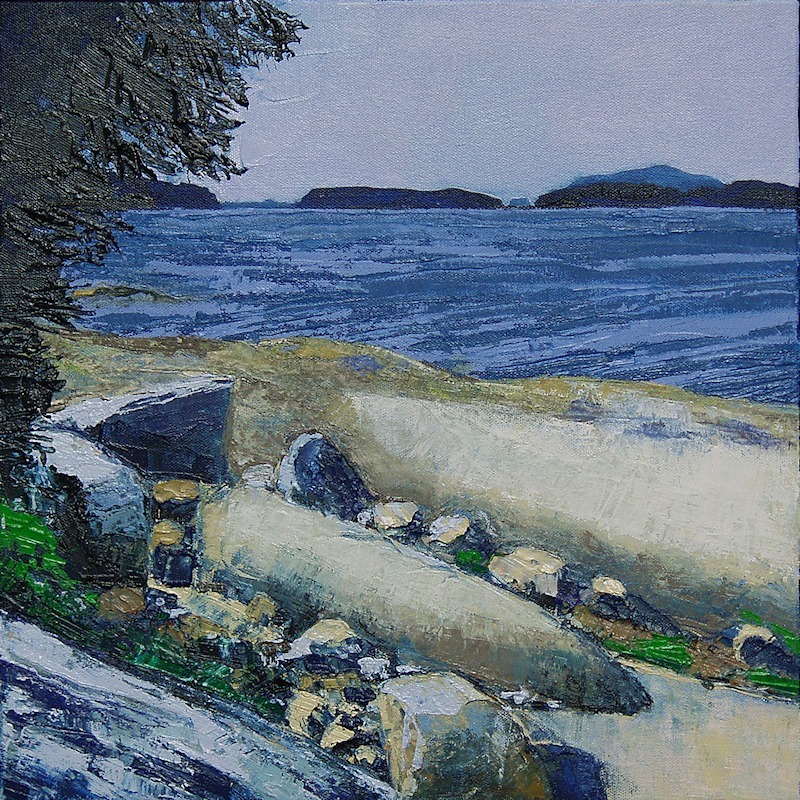 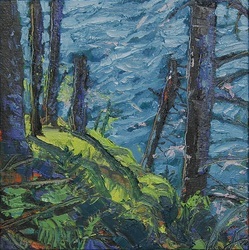 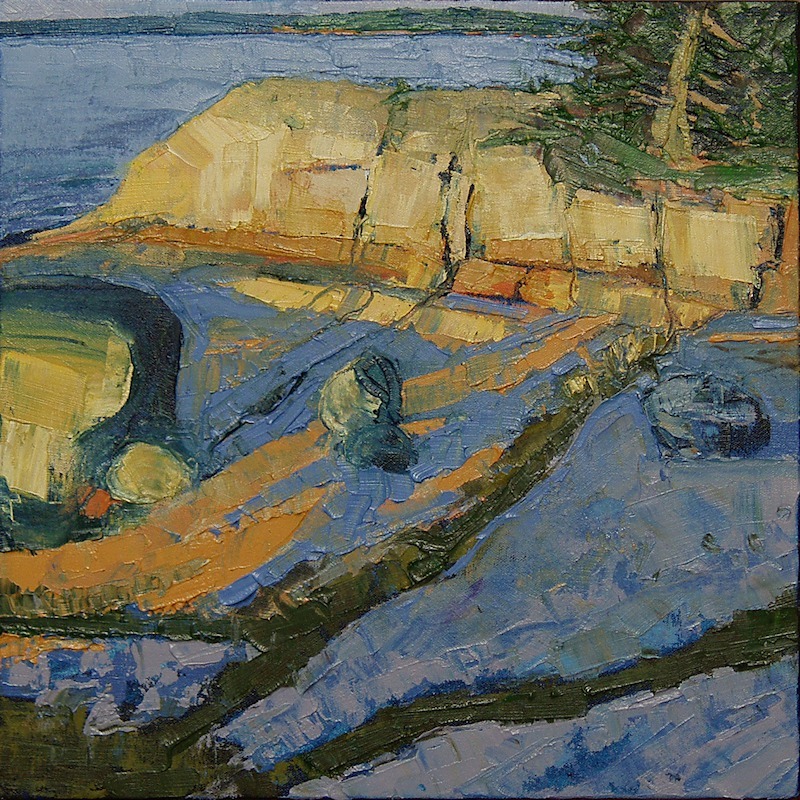 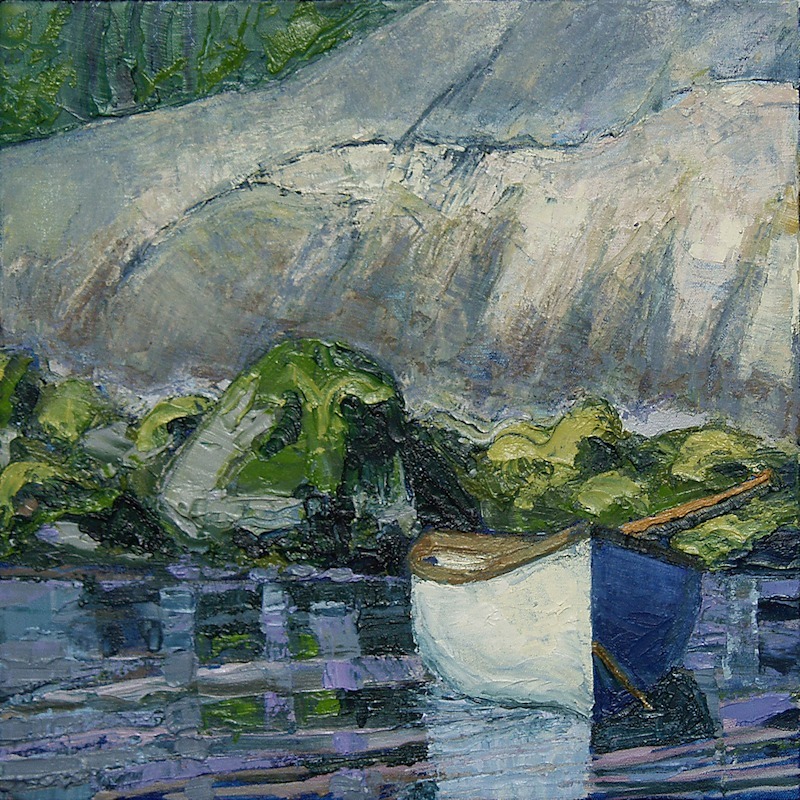 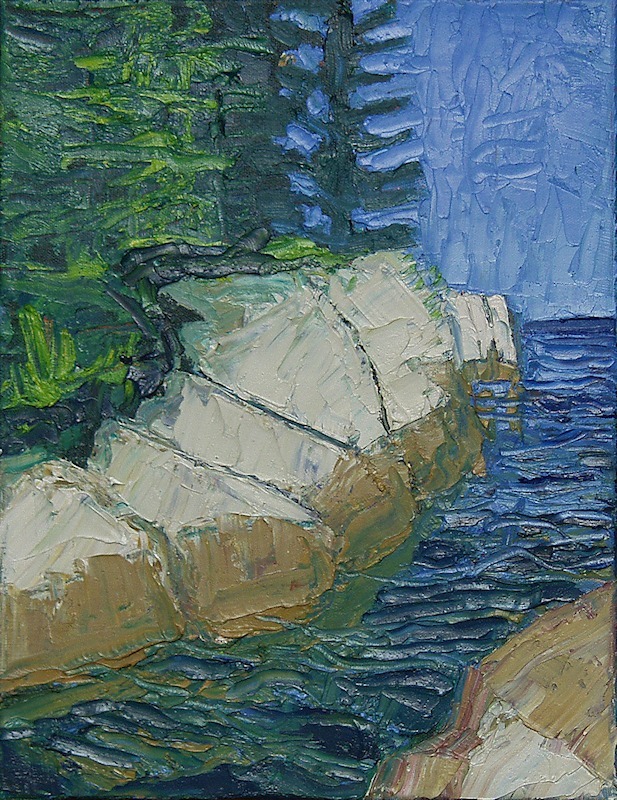 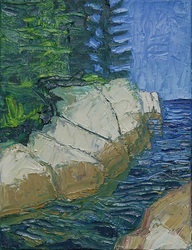 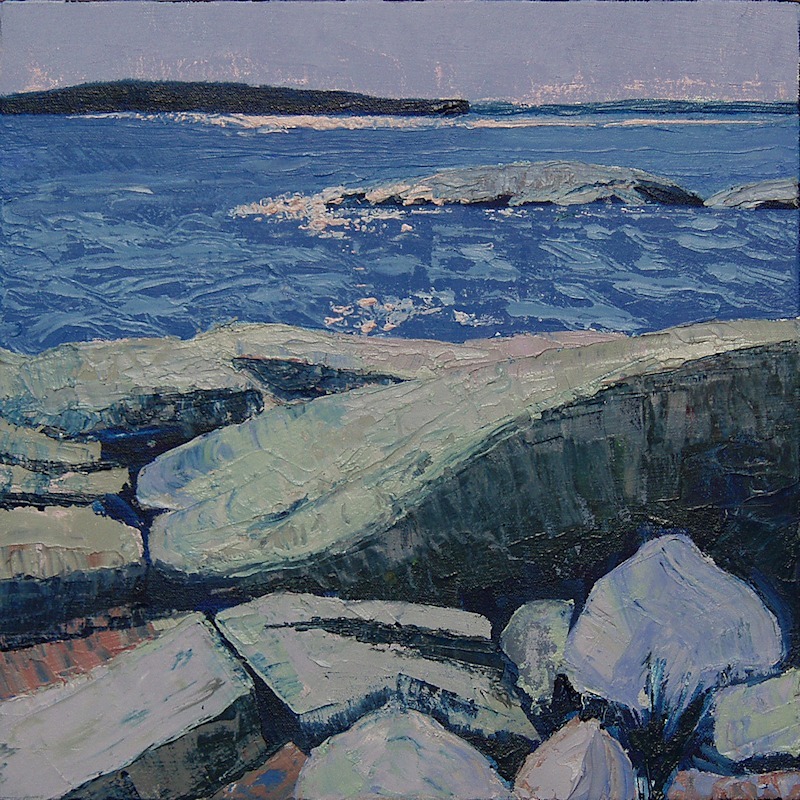 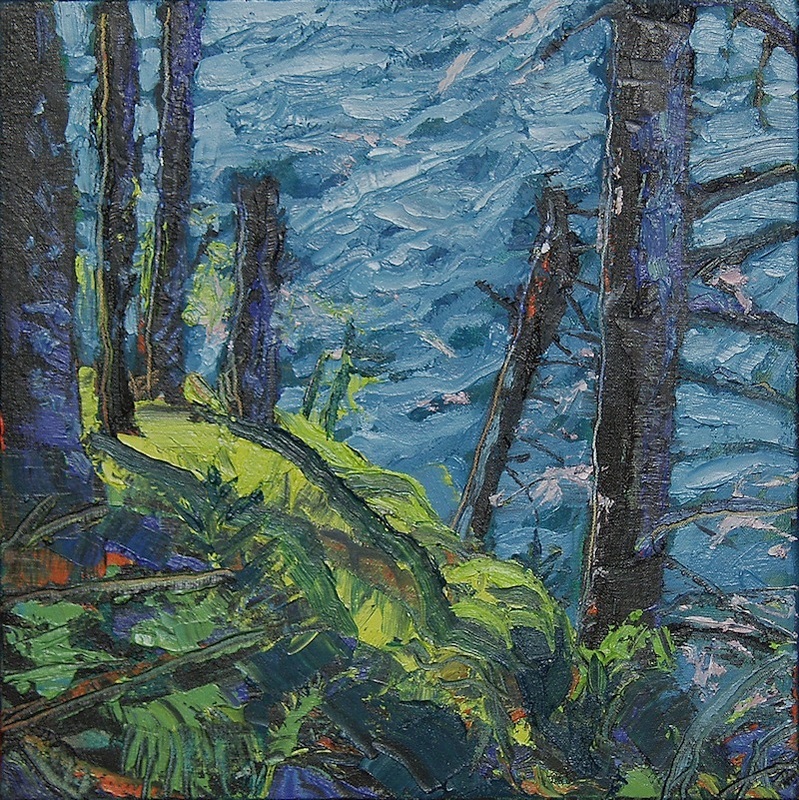 Experiencing the roughness of the coast, I decided to paint using only a palette knife. 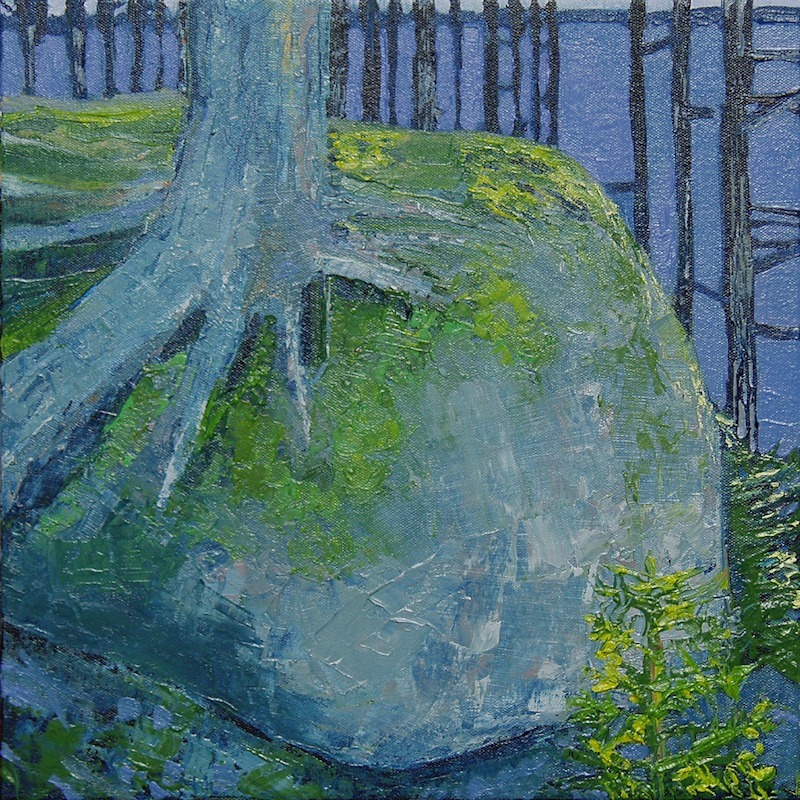 The small landscape paintings from the Alumni week conveys my impressions from my visit. 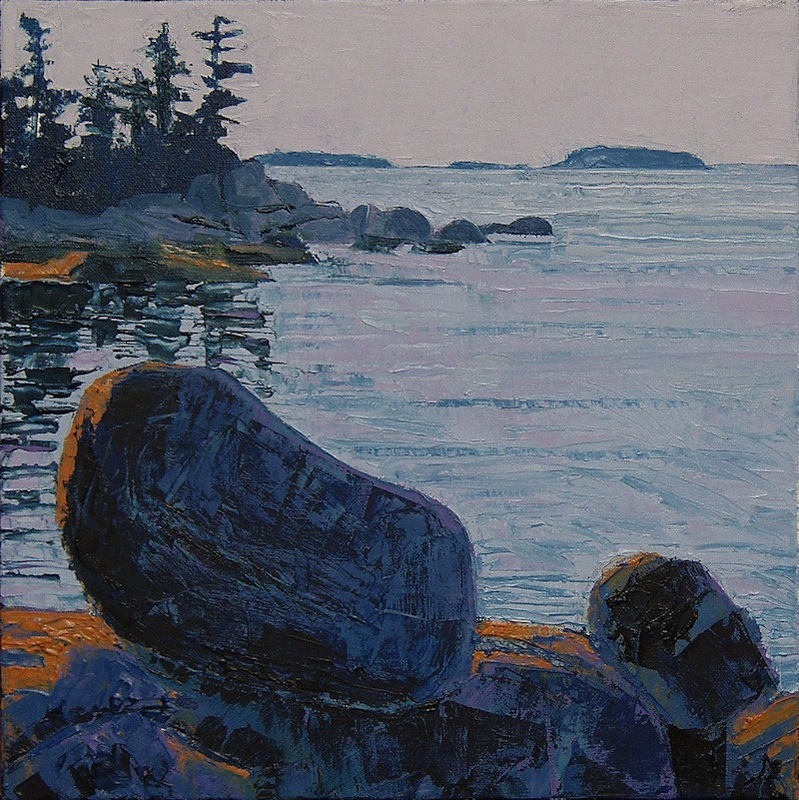 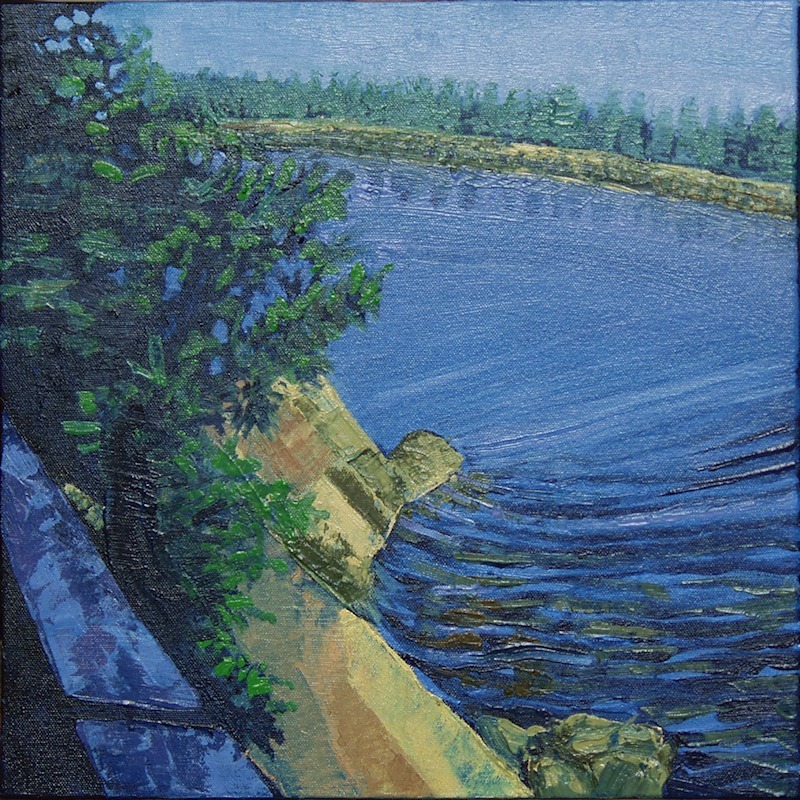 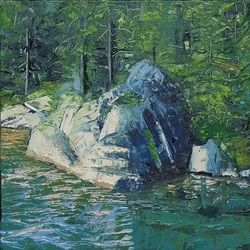 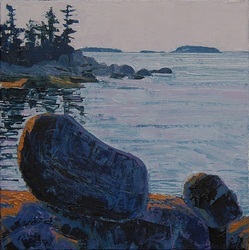 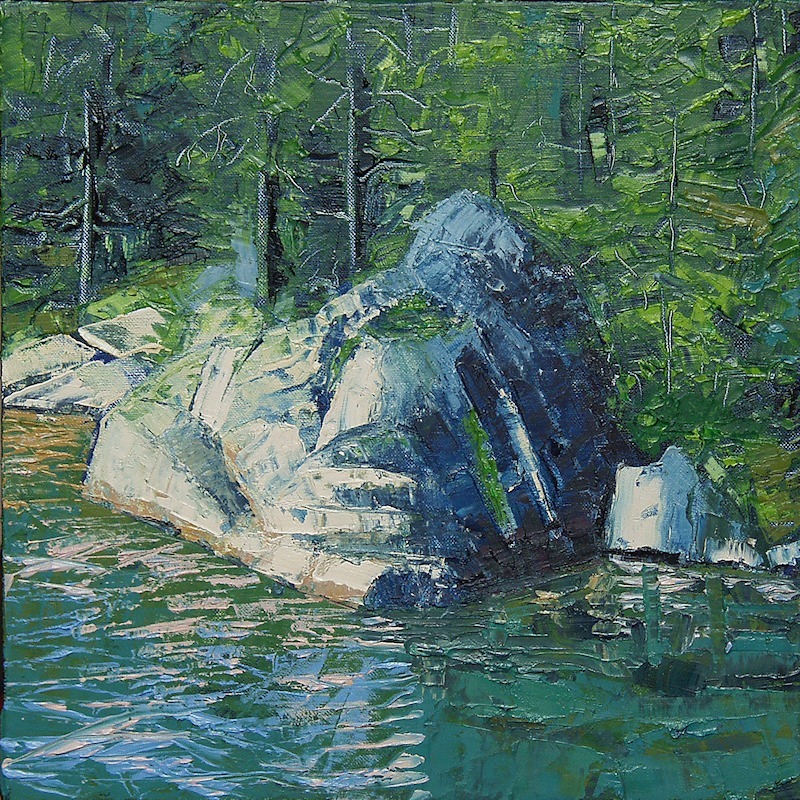 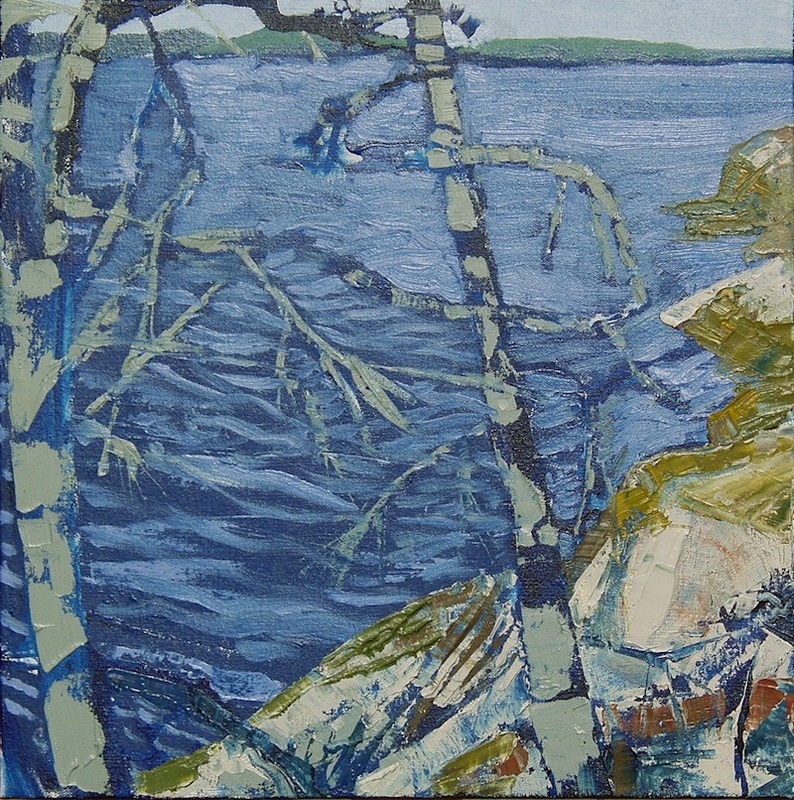 They were appreciated in a solo exhibit at Sharon Arts Center, Charter Trust Co., Peterborough, NH. Oil on canvas 14" x 14"